Laptop users craving for an exceptional thin and light notebook that’s accompanied with power should watch out for the Huawei MateBook 13, the Chinese company’s latest ultra-slim notebook that’s looking to be a contender against Apple’s latest MacBook Air laptop. One cursory look at the MateBook 13 and you’d probably agree, but in fact, it shares many of the aesthetics of the company’s premium laptop in the MateBook X Pro. Furthermore, the MateBook 13 isn’t a slouch in terms on what it offers, boasting an impressive specs sheet that’s sure to adhere to power users! Our first impression about the Huawei MateBook 13 is that it’s unbelievably thin and light! If you thought the MateBook X Pro was svelte and portable, then you’ll be astounded by how much more of the fat they’re able to trim off the MateBook 13’s chassis – making it pretty lightweight at 2.86 lbs. Featuring an aluminum alloy chassis, there’s no denying that the there’s a premium aspect to its design that we love. The metal chassis definitely adds more strength and durability to its construction, so for a thin and light offering, there’s no worry about it being fragile or anything like that. 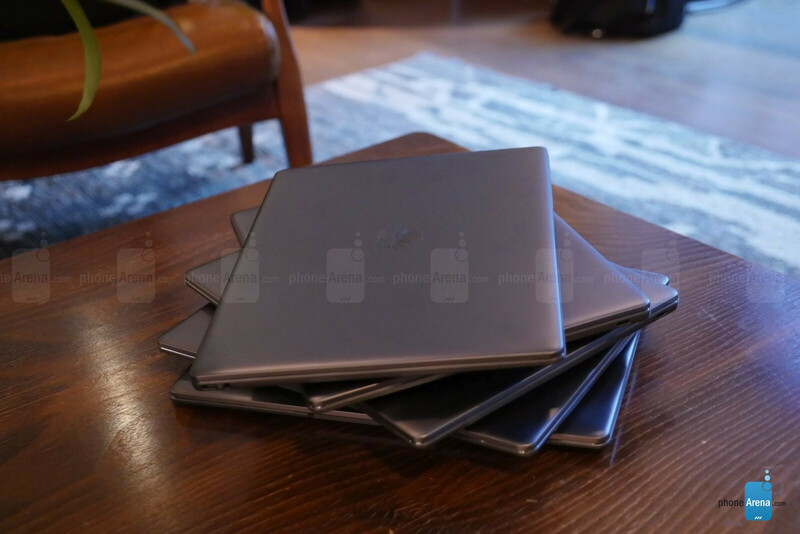 Even better is the portability of the MateBook 13, making it a road warrior that won’t be too much of burden if you're carrying it around all-day long. It’s equally impressive that for its footprint. It's packing some impressive hardware in the form of the latest Intel Whiskey Lake processor, as well as an option to get a model with the NVIDIA GeForce MX150 GPU. Add in a couple of USB Type-C ports, power button with an integrated fingerprint sensor, and even a 3.5mm headphone jack, the MateBook 13 certainly has an impressive offering with its design. Another key characteristic that its shares with its sibling in the MateBook X Pro is the addition of an edge-to-edge display! 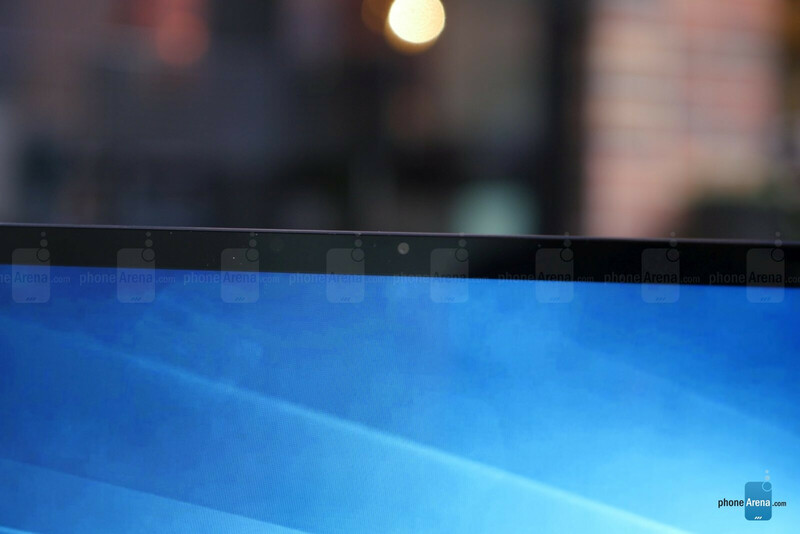 Staring at the laptop’s 13-inch 2160 x 1440 FullView touchscreen display is hynotic, primarily due to how they’re able to minimize the bezels evenly all around the display – reaching an impressive 88% screen-to-body ratio! Unlike the MateBook X Pro, though, the MateBook 13 places its front-facing camera in the traditional spot above the display, instead of being integrated into the keyboard. Despite this, it’s still pretty remarkable how skinny the bezel is around the display! And you know what? The display is quite sharp and detailed from what we’re able to gather. Colors are punchy enough to catch our attention, while its viewing angles seem relatively good by maintaining clarity at wide angles. Similar to the MateBook X Pro, the display here features a 3:2 aspect ratio, which allows for even more things to be displayed on-screen. As much as we want to give the premium design most of the credit, its display is just as equally compelling! One of the comforting things about the Huawei MateBook 13 is that it’s a workhorse, something that’s powerful enough to appease demanding users – while also boasting more versatility than some of its similar rivals. The backlit keyboard features a layout that we’re quite happy using, as there doesn’t seem to be any oddities about its whatsoever from what we checked out. However, we will admit that keys aren’t as raised as some others, which can make it a little bit tough to get acquainted to using. Then again, we’re glad to see that they’ve included a rather spacious sized clickable trackpad! For a Windows 10 ultraportable laptop, the Huawei MateBook 13 undeniably has a compelling package that should give the competition a reason to worry. Factoring the $999 starting price for the Intel Core i5 variant, it’s offering quite a bit of value right from the onset when it comes to market in US through online retailers like Amazon and Newegg, as well as some top consumer electronics retailers, starting in February. Those needing to get with more power, the Core i7 variant with the NVIDIA GeForce MX150 discrete GPU can be fetched for $1299. Again, it’s competitively priced to give the competition something to be concerned about. 8gb lpddr3 ram limit is killing it.